You are at:Home»Poker Runs»What Do You Want From A Poker Run? For folks who enjoy big water, the Boyne Thunder Poker Run is a consistent winner. Photo by Pete Boden/Shoot 2 Thrill Pix. In early January, this column focused on significant changes the Florida Powerboat Club has in store for its 2018 season. Whatever your opinion of FPC founder Stu Jones, he deserves credit for making a living—and making a lot of people happy while driving business in the marine industry — through his events for almost 30 years. As you learned if you read that column, Jones also knows he needs to change things up to keep his poker runs fresh. That’s even more challenging than his organizational duties, and after covering his events since the late 1990s I have to tip my hat to him. Shed no tears for the man — he chose his profession and he loves it — but what he does isn’t easy. 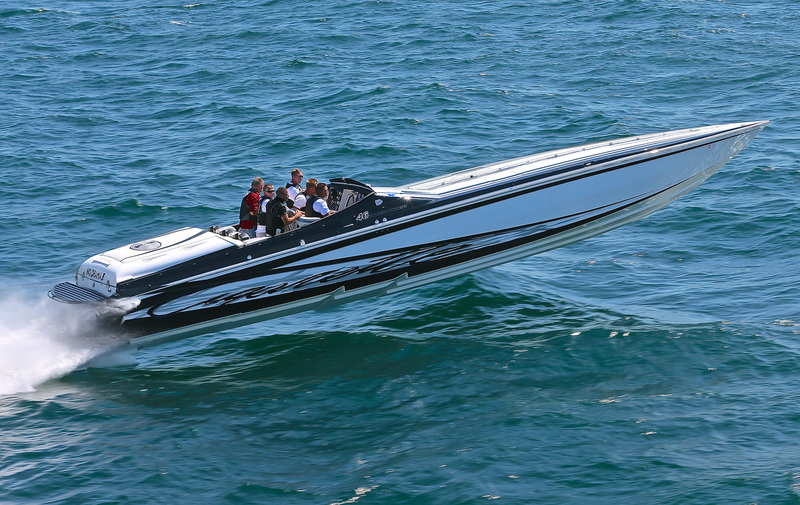 Later in January on speedonthewater.com, I reported on the Offshore Powerboat Association’s first poker run, an invitational event set for Aug. 18 in Traverse City, Mich. To be sure, an invite-only poker run is unusual, though not unheard of, in the performance-boating world. But with no entry fee, the OPA happening is particularly unusual — and intriguing. Reporting the FPC and OPA poker run stories for the coming season left me in a philosophical mood. Since the early 2000s, the powerboat poker run format itself — cards distributed at various stops and hands played during an end-of-day celebration — hasn’t much changed. 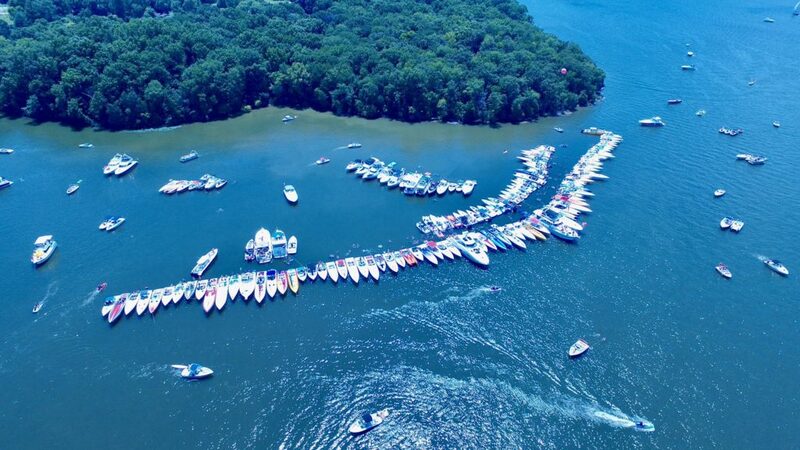 There are variations, of course, such as the Four Horsemen Poker Run on Lake Winnebago in Wisconsin where all cards are handed out at the end of the day. But for all intents and purposes, the game itself has remained the same. Looking for two days of sweet raft-ups? A long look at the Old Hickory Fun Run, Bar Crawl and Raft Up is probably worth your time. Yet regardless of the purse, the poker run hands and the prospect of winning hold little overall importance and have zero bearing on which events you choose to attend. After all, your chances of winning any dough, much less enough to cover your weekend fuel and bar tab, are slim. The idea of winning is attractive, no doubt, but it doesn’t drive your poker run participation decisions. So then, what does? Of course, schedule — meaning your precious free time during the boating season — is huge. So, too, is event proximity. Most of the participants at the annual Boyne City Poker Run in Michigan, for example, are from that state or its adjacent states. But beyond picking events that fit into your when and where, what attracts you to one over another on a given weekend during the boating season? Of course, you want to go where your boating friends are going. That’s a no-brainer. But there has to be something more than that. Is it the boating environment? The hardware likely to participate? What’s happening in the host community during the run? The charity benefitting from the event? The party scene? Does food quality during the lunch stop and awards dinner factor into your decision? How about lodging and marina facilities? With so many poker runs to choose from each year, chances are excellent you can find at least one that checks all the boxes on your list. In fact, I’d gently suggest that if you do your homework and ask the right questions — and the best way to accomplish that is talking to past event participants — you never have to head home from a poker run disappointed. But first, you have to know what you want from a poker run. So what is it?